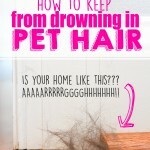 When you have animals…that live with you…inside your house. And when you live with them all the time, you tend to become accustomed to their delightful aroma. Sometimes, I think I don’t even have a “dog” smell in my house. And maybe I don’t, [insert laugh track here] but I don’t want to take any chances. Because when my house smells, life is just not the same. 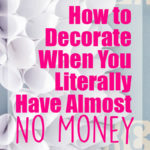 I just want an easy way to freshen a room, yo. I want the best home freshener I can find and I want it naturally. But here’s the real rub… I have people in my house that don’t like scented candles… or anything that’s going to be too in your face when it comes to olfactory refreshment. And those candles and scent thingies? They are hard on one’s pink, ruffled change purse. Besides, those sprays and stuff just feel toxic to me. I want the best natural air freshener that will be safe and smell good and make my home feel clean and fresh. First, just pop your cotton balls in the cute little bowl. Next, add your favorite essential oil. I’d say enough so that is soaks the top layer at least. Except if you want to be sneaky about it. Just hide your cute little bowl behind something. If you want, that is. I mean it is a cute little bowl and all. Sometimes, I like to sit it right up under my nose. Ahhhh…. So much better than the scents, “dog” or “cat”. What’s your favorite essential oil to use? Let me know down in the comments below! Misspellings are understandable when one has been sniffing peppermint extract. This is such a good tip – seems a shame to be picky about spelling. Thanks for sharing this. I use ground coffee, about 1/4 cup, poured in my vacumn canister, then vacumn, it eliminates old house, or smoke/stale air smell. I believe the peppermint could also be added to the vacumn, to circulate this smell through the air when vacumning. I put peppermint onto a cotton ball and put that in my vacuum. It smells wonderful! Never thought of using coffee. I love this, but you should be REALLY careful about having essential oils and kitties in the same house. Cats aren’t able to process EOs, and they can poison your kitty. Great point. I haven’t used essential oils but was getting into this post. Love the upbeat writing style! It makes me feel like I’m visiting with a friend. However, we have Sugar Gliders so I guess I need to do a little more research on essential oils before purchasing. Extracts are used for baking, I don’t think she is using essential oils. You’re right Deb. I’ve since switched to using real Essential Oils in my home and they are even better for this! I love your posts Gwen. I have used peppermint oil as a room freshener AND as an ant spray repellant. Works also in the car. But if you don’t like the smell of peppermint, use kitty litter. It works Beautifully with no aroma. What is a ‘sugar glider’?? What a lively page and awesome tip! Thanks for the great idea. I have some orange/clove essential oil that I boil in water. It is amazing!!! But this is so much easier! Love it! I would recommend using a diffuser instead of boiling. You will get better results. (Love our doterra oils!) You can find some really nice priced diffusers on Amazon! I don’t actually boil it, Chole. I just pop a few drops on the cotton and it works great! I’m sure a diffuser works really well, but if you don’t have one or don’t want to spend the money, this is a great alternative! Love this idea as we have a lot of animals (own a farm) I have tried so many things they either smell like flowery animals or the fresh smell doesn’t last long. I have sprayed fragrances in the vacuum before as the vacuum filter tends to start smelling doggy but never tried the coffee. I will be trying that also ! On another note if some one has to be so picky about spelling when you are giving your precious time to write this blog for every one else maybe they should go to an educational site and give their opinion ! These “smart” phones/electronic devices most have spell correct and I can’t tell you how many times my phone has either misspelled or completely changed every thing I type out ! Not such a “smart” phone LOL Different countries do use different spellings and meanings also !! I love your blog thanks for sharing !! Thanks for the great idea!!!! We just moved into a new apartment that is way smaller, and between the old apartment smell and the smaller space with two cats and a 5 year old boy, the smell is driving me CRAZY! 🙂 Totally going to try this out! 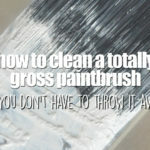 Great tip! And what is that delightful font? That is fabulous information, Ilene! Thank you so much for taking the time to share it with me and my readers! PLEASE be careful w/the essential oils. There are “essential oils” and then there are therapeutic essential oils. For general fragrances and stuff in candles most additives are NOT therapeutic, they are chemical replications, the “junk” that’s left over after processing etc. As someone noted, do your research and be careful especiallyy what you put in bedrooms. I note that in the picture it shows peppermint flavoring but says essential oil in the directions. The flavoring won’t hurt you; also won’t help except for making things smell better. Essential oils are therapeutic–that’s why they have been used for hundreds of years, even referenced in the Bible. Peppermint is great! for stomach upset. As to the caution about cats, before I knew better I sat in a room with tons of essential oils and my cats never got sick, but cats have died because they have a unique system that can’t tolerate essential oils, especially if they are taken internally. Totally support the idea that you must check with a qualified aromatherapist before using the essential oils on the cat, n bedding, or anyway they can get into it internally. Thanks for your thoughts, Dee! I’ve heard that, too, Sara. I keep them away from my kitty. After reading this article, I went to my local Sprouts and purchased Peppermint essential oil. I followed your directions exactly. I put the small bowl on my bedroom dresser, which is upstairs. Within an hour or so, you could smell it all the way downstairs! I was bewildered that the peppermint aroma carried all throughout the whole entire 1900 sq. ft house! I have three dogs. So you can imagine what people must smell when they enter my house. But the Peppermint works wonders and smells so clean. It lasted about a week before I had to reapply some more oil. 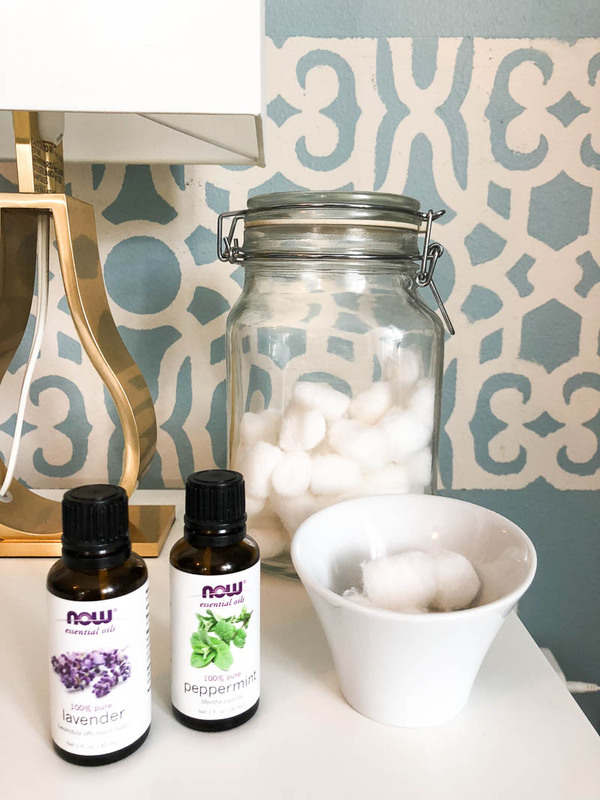 I wonder if there are other oils that can be used besides Peppermint that work just as wonderful? Thank you for this awesome tip! You have save me a lot of money buying scentsys. Yay! That is fantastic, Rebecca! I’m so glad it worked for you. I love this method of freshening things up. I say try any oil you like. Lavender is another one of my very favorites and I use it all the time! I love this idea! I thought you might enjoy knowing that as an RN we used this exact idea in the hospital to help with unimaginable smells! We had to get the peppermint oil from the pharmacy. We used medicine cups and gauze to put drops of the oil on then put them in the hallway. Nothing else ever helped. I guess if it works in a hospital, it will work in a private home too! Thanks for sharing. all rodents are allergic to peppermint oil ( rats ,mice moles ect) so the peppermint oil inside the house serves 2 purposes wonderful way to freshen the air in the house and it will also keep the mice out the y want nothing to do with it ! 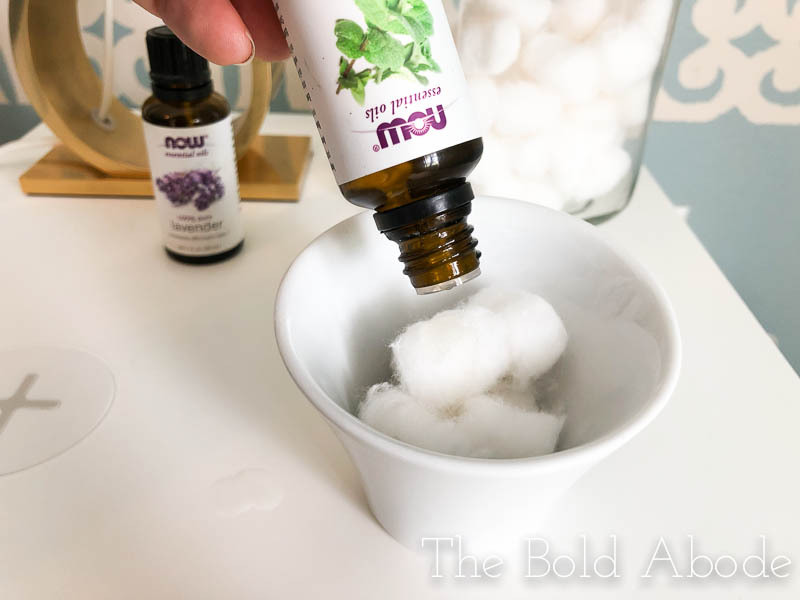 You can also put it onto a cotton ball then roll the cotton ball in red pepper and put it into an active mole run and they will clear out pronto ! Gotta love that peppermint oil!!! 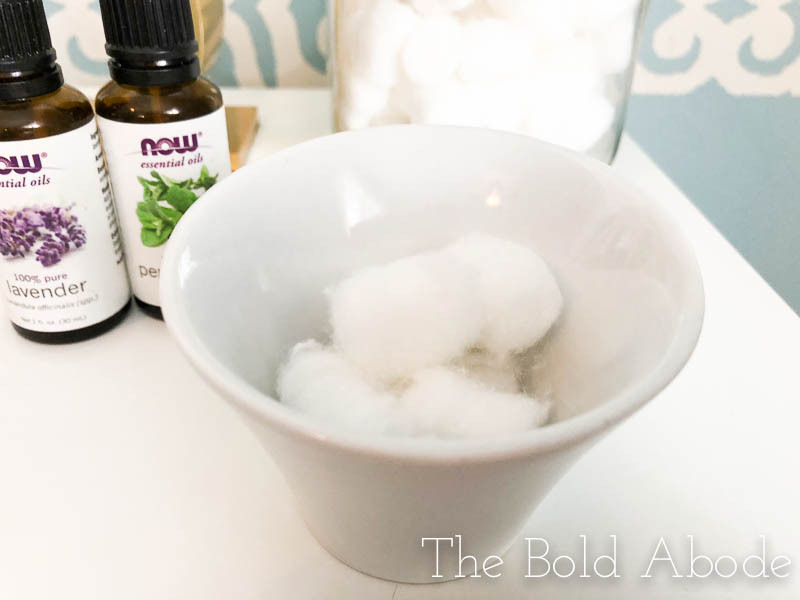 I put a few drops in a cotton ball and then either hang or sit it in the air/heating vents. This way the smell or oil can be customized for each room. If I want a whole house smell, I put it on the grate side of my return air vent. You are saying essential oils, but you are showing extract. A lot of difference, in product and price. Oils would definitely last longer, since most extracts are alcohol based, thus evaporate. 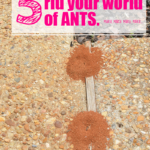 As well as deterring rodents, it will run off spiders and fruit flies. One more comment about peppermint essential oil: it “can” cause breathing problems in babies, even children up to age two. This method is probably safe, but I wouldn’t put a baby down in the same room just to be safe. 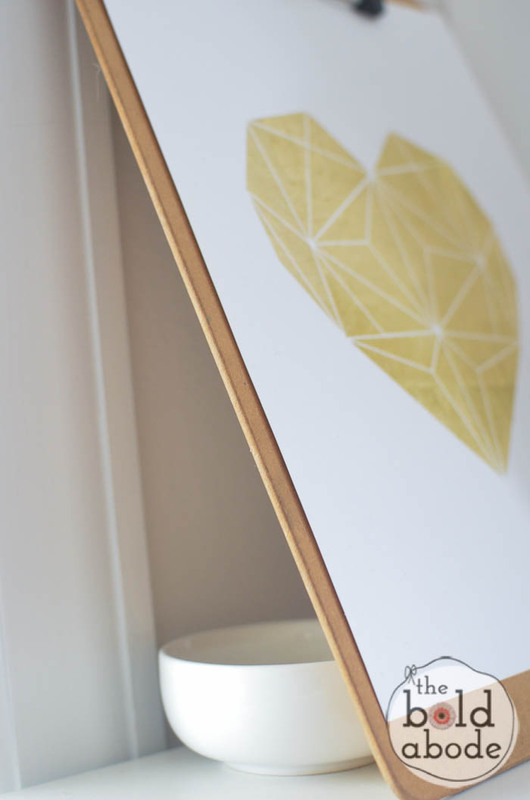 Diffusing is more likely to cause a problem, so it’s best to keep babies away from it. Now I’m off to try your suggestion. Thanks for your tips, Ellen. I think this would also be great to use at an outdoor gathering to ward off mosquitoes using fragrances like tea tree oil and citronella. I may have to try that next time to see if it works. Right now I am using peppermint in one room and lavender with vanilla in another. So far, they are smelling really good. I recently used the eucalyptus on those same cotton pads next to my bed (the kids won’t give up the diffuser with lavender for sleeping). I got rid of my cold overnight. Went to bed with a stuffy nose and beginning to cough. Nose cleared within 10 minutes and I was fine the next morning. It wasn’t a coincidence or the cold running its course because it was just starting! We have 4 dogs and 3 cats… so you can imagine how AMAZING this post is for me!!! I just went and did it. 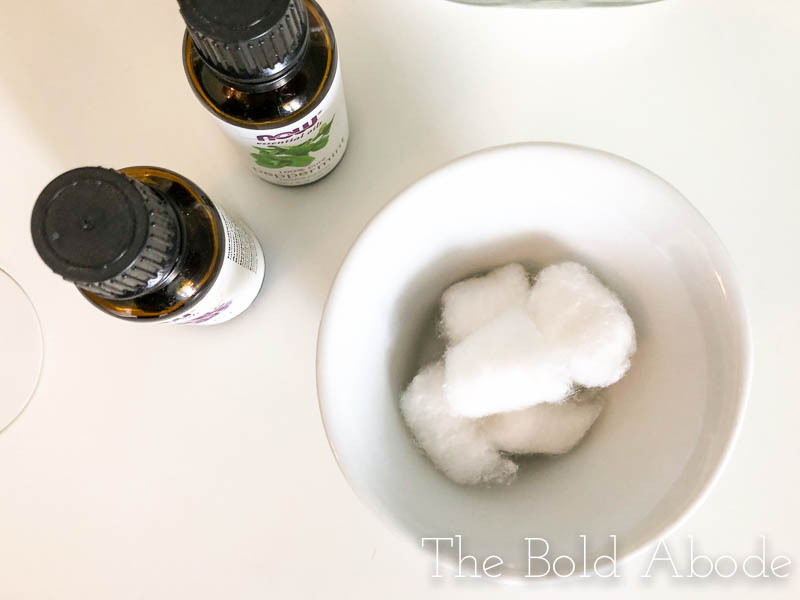 I put Peppermint Oil on a little cotton ball and can’t wait to smell the results! 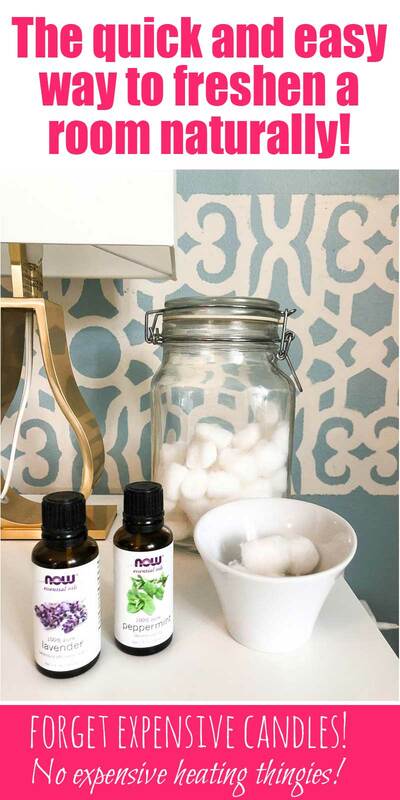 I put a few drops of Tea Tree Oil near our beds every few days to help us sleep and also keep bed bugs away. It’s really been helping and is SO easy! Thanks for your awesome (and hilarious) post! You are hilarious Gwen. Your writing style had me smiling. Thanks for the laugh. hi ! how many pads are you putting in those adorable little bowls ?